I’m looking for a graphically oriented way for (non-technical) users to build an HTML form. 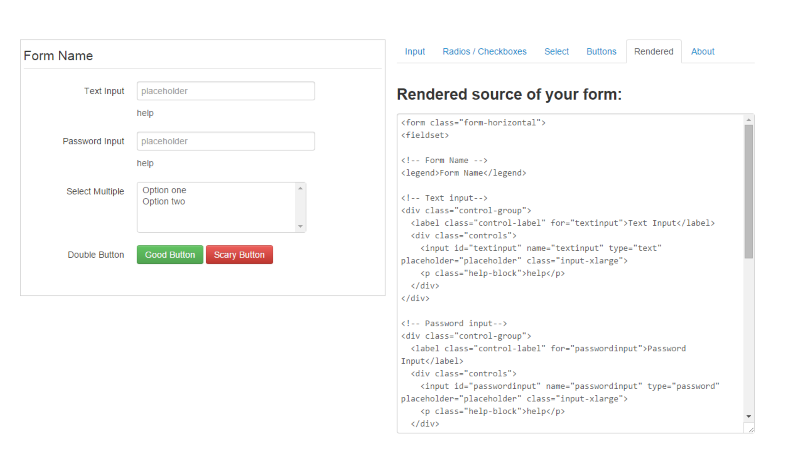 I have looked around and found Formbuilder (demo), but it seems rather buggy and it only outputs the raw details as JSON, rather than actually producing a form. Does anyone know of any other solutions for this? There is also the jquery plugin called jQuery formBuilder and the repo for it is available here. I'm not seeing a release licence like GPL, or MIT, at this time, so it may not be suitable for some projects. It does look to be pretty active, which is a plus. I have come across this Bootstrap Form Builder (GitHub project here) that seems to do exactly what I need. Wufoo sounds like what you need. 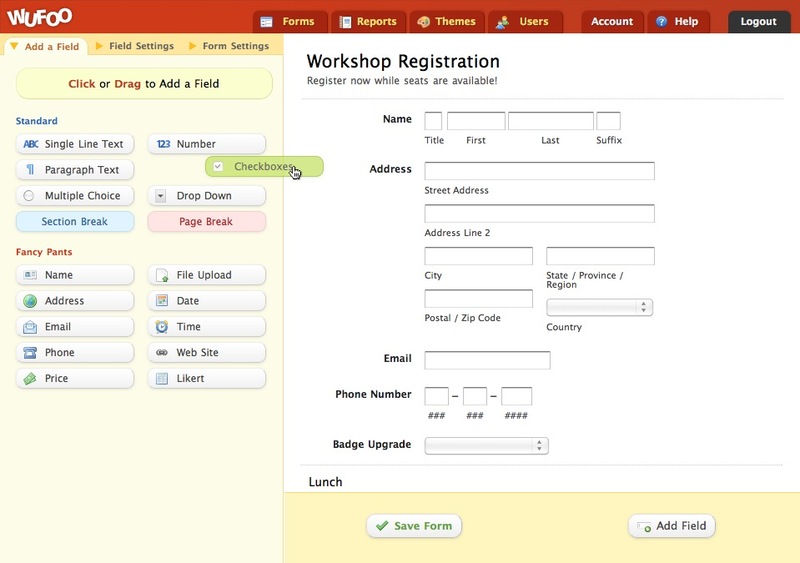 After building your form with drag and drop tools, it will give you an HTML snippet to paste on your website. The free version allows 3 forms. It organizes your responses on a spreadsheet that you can export to Excel or CSV.